By any objective standards, the state of the U.S. solar industry today can be described as vibrant and robust. Due to rapidly expanding environmental awareness by individuals and government, and the continual and dramatic declines in the cost of solar installations, the solar industry has witnessed rapid and steady growth for over a decade. And all reliable indicators forecast an unprecedented boom in the solar industry through and most likely beyond 2024. Depending on the amount of sunlight and on the price of a PV system, those who install solar tend to see a relatively quick return on investment (ROI). An average PV system lasts about 25 years, and some customers start seeing payback in as soon as five years. According to an article published on the Motley Fool by Travis Hoium, one percent of the world’s total energy generation comes from solar power. And according to the U.S. Energy Information Administration, that number is 1.6 percent in the U.S., a positive reflection of the growing U.S. commitment to environmentally sound energy management. But with the solar industry’s impressive growth, utility companies are producing more energy from solar and are consequently less inclined to offer incentives to homes and businesses to install solar panel systems. According to Harner, several utility companies offer net metering incentives for home and business owners who go solar primarily because they are required to produce a certain percentage of their power from solar energy. Therefore, some utility companies introduce solar billing programs that are less favorable. However, the battle being waged by utility companies, who are doing what they can to slow the progression of the solar industry, is a losing one for them. 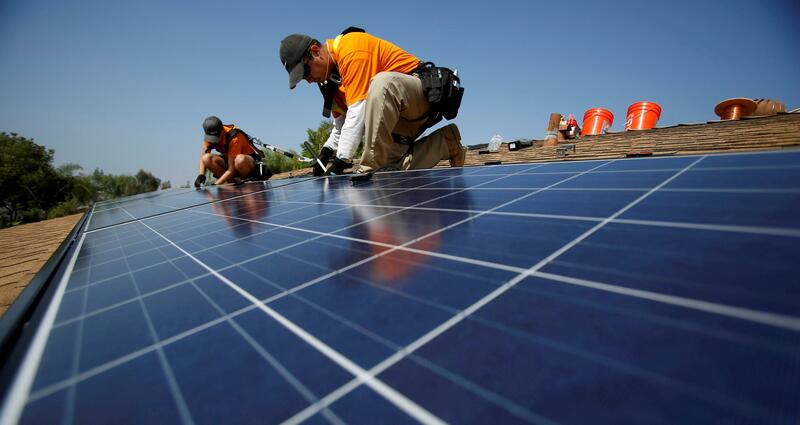 More and more people are taking notice of the great financial benefits of going solar. All evidence points to the solar industry continuing to thrive in spite of weaker incentives from utility company. Even given the anemic cooperation of the utility companies, the U.S. solar movement is poised for enormous future growth. Federal and state governments are actively doing their part to encourage solar energy expansion, and technological advancements like the perovskite cell, promise to bring the cost of solar to new record lows. The beauty in renewables like solar, in addition to their net-zero environmental impact, is that they are a continual, unending energy source capable of sustaining U.S. energy needs indefinitely. A plurality of Americans is aware of solar’s benefits, both financial and environmental, and will provide the impetus for unparalleled commitment to future U.S. solar energy investment. Jennifer Wesley is the public relations manager at Green Solar Technologies, a solar panel distribution company headquartered in Los Angeles.